Apple seems to bet on caution with regard to its future connected speaker. If the American firm had said that it would be launched at the end of the year, it seems that everything did not go as planned. The HomePod should therefore be marketed next year. 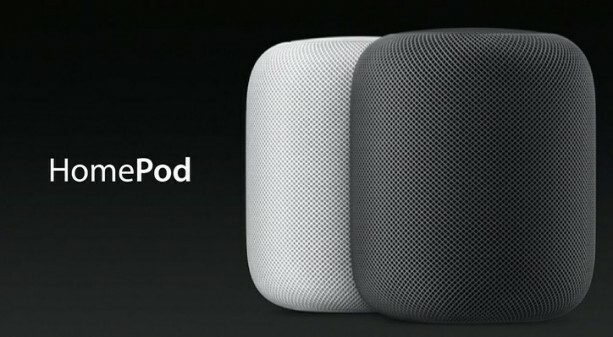 Lovers of Apple products will have to wait to get the future speaker of the group, the HomePod. If it was first announced for the end of the year, this will not be the case. Apple says however that it is only a slight delay, and that its smart speaker will be available for sale in early 2018. This does not mean that we will see this product land in Dubai at this time, since Apple has for now bet on three countries, in this case the United States, the United Kingdom and Australia . No date is specified for other countries. And for all those who are passionate about the world of connected home and speakers, the release of the HomePod is expected, if only to compare it to the two references in the field, the Amazon Echo, and Google Home. Like all Apple products, the future connected speaker of the brand will be high-end. This is a first way to stand out from competing venues, which target a wider audience. Thus, the sound promises to be of very high quality. The A8 processor that equips the HomePod should do wonders for context analysis in real time. We also know that it is the assistant Siri who will be in charge of the enclosure; it should be at the heart of the device, connecting the speaker to the Apple ecosystem. As for the applications for HomePod, they will be handpicked. Spotify will not be able to access the Apple speaker for example, the apple wishing to highlight its own music platform. The HomePod will be able to benefit from other sounds coming from the third device of Apple. You can recover it very easily, via AirPlay 2. The HomePod should be sold at the price of 349 dollars. It will, however, be necessary to wait for a little before this enclosure is available in Dubai.